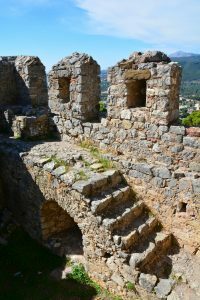 The top things to do in Nafpaktos are steeped in millennia of fascinating yet tempestuous history. 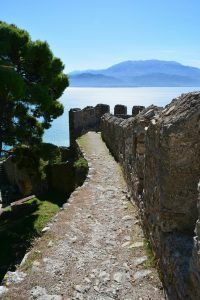 From its impressive castle to its sea walls, Nafpaktos took me back in time. 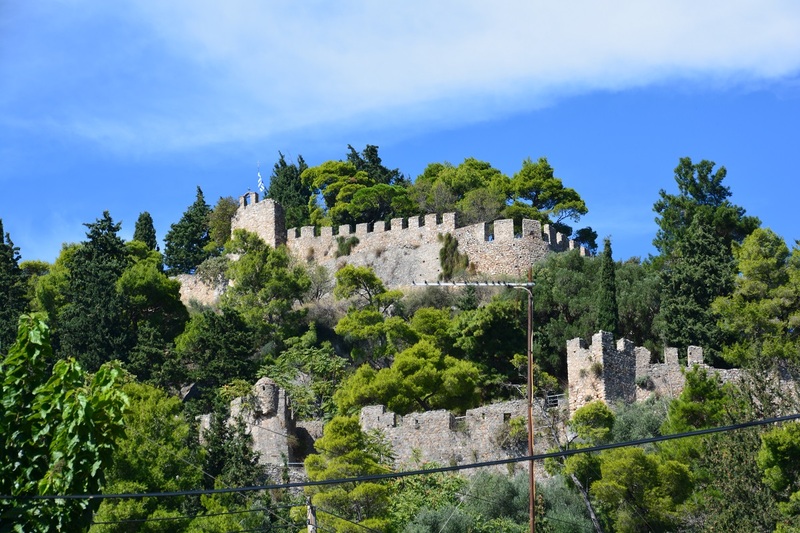 If you were to draw a picture of what represents Nafpaktos, you’d be drawing a big ‘ol castle. 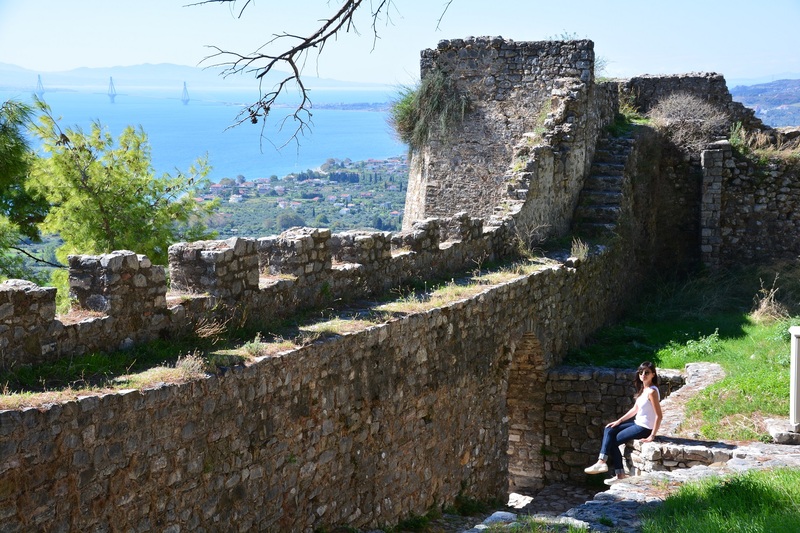 The Venetian Castle of Nafpaktos is one very large and incredibly preserved structure that you simply can’t miss. 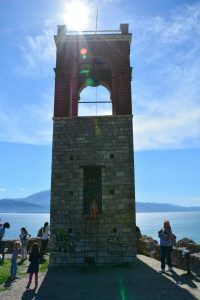 It can be seen from the harbor and from many points in town. 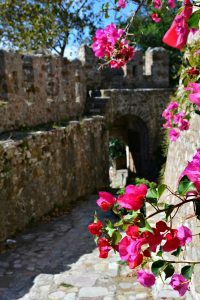 The castle is what gives this place – set on a sparkling aqua blue corner of the Corinthian Gulf – its defining charm. Hanging out at the castle! 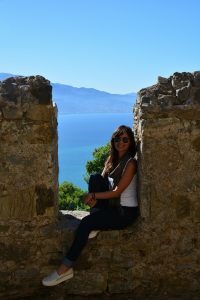 Nafpaktos is a place of history that is best discovered in person. Look to your left or right here and there’s something linked to its storied past. 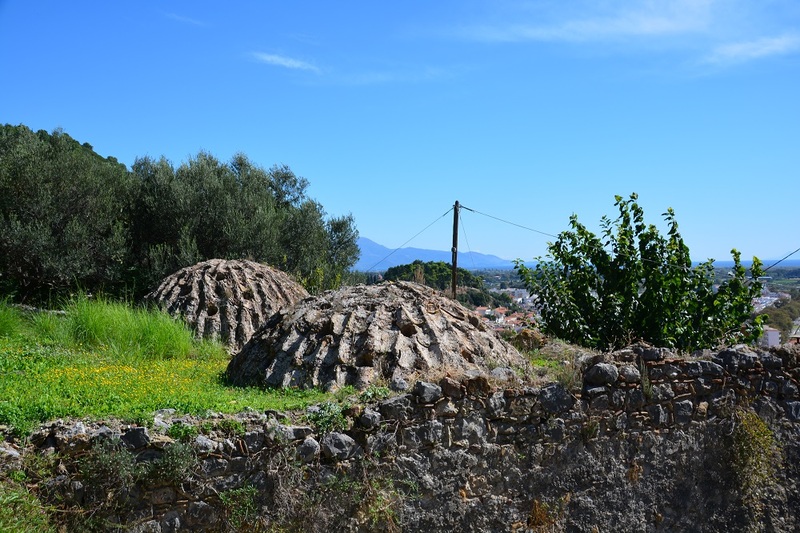 On a recent trip, I met these historic sights up close, climbed their walls and walked down their stone paths. 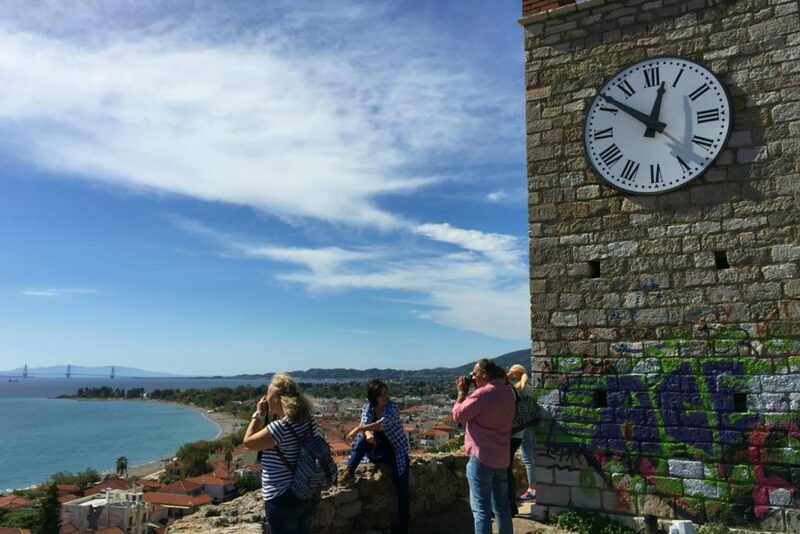 Nafpaktos is an authentic destination in mainland Greece that’s a combination of history, culture and natural seaside beauty. 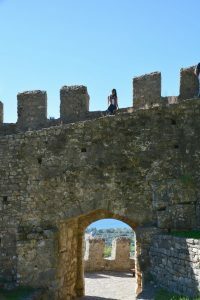 Nafpaktos is probably one of the country’s best kept secrets… So if you want in on this secret, here are top things to do in Nafpaktos when you do make the trip. 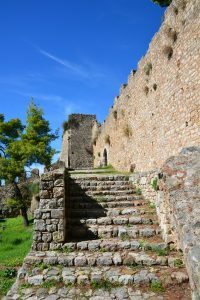 One of the top things to do in Nafpaktos is walking around the Venetian castle. It was impressive to view from afar and to explore up close. 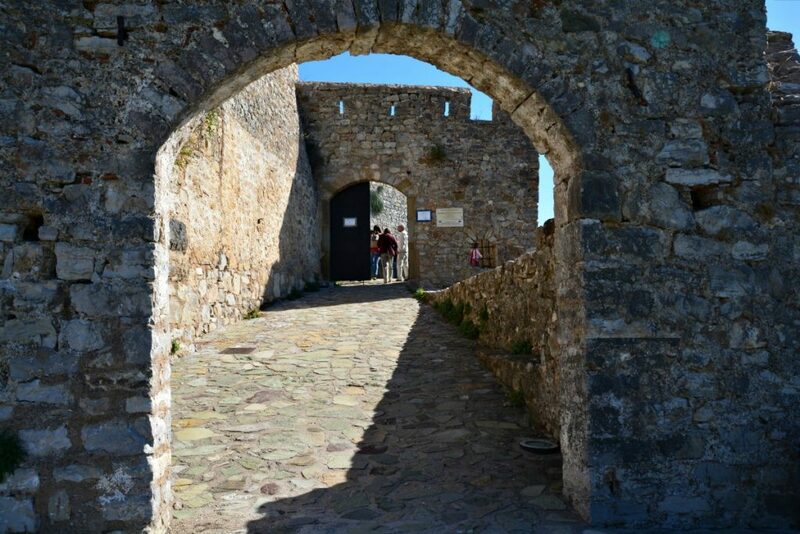 Strolling through its stone gates and peering from its fortified walls out towards the sea was kind of surreal. 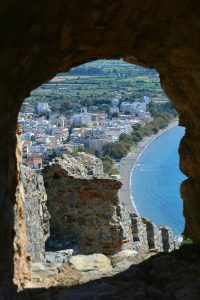 A view from the castle. 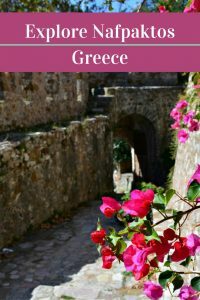 You can freely walk around and see what remains from the fortification that was once an important bulwark for Greeks, Turks, Venetians, Englishmen and pirates. 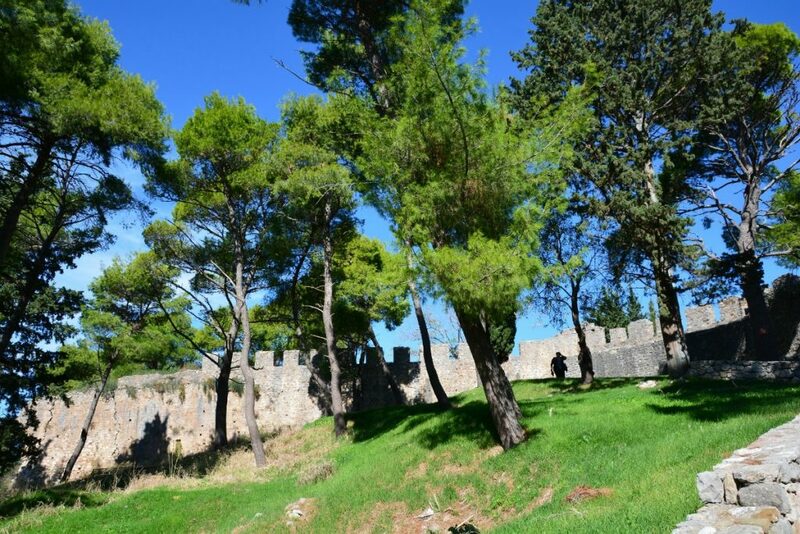 Each conqueror of this castle influenced how it looks today. 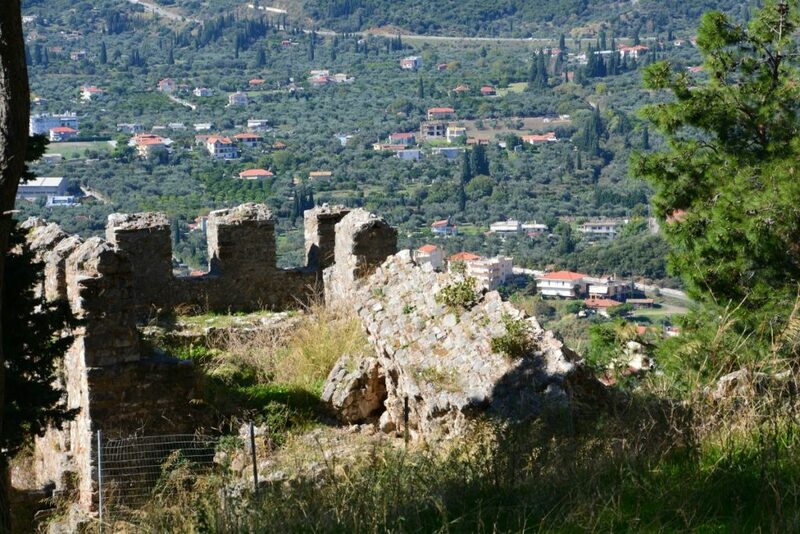 Look out for the small church of Prophet Ilias. 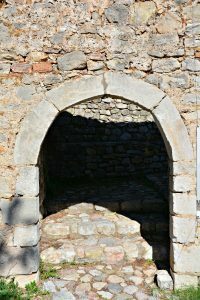 There are also the remains of a Turkish mosque and Turkish baths. 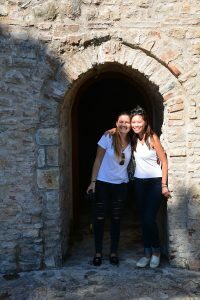 The Botsari Museum is part of the Venetian Tower of Botsaris. It is a historic landmark that is run by the charitable Botsaris Foundation. 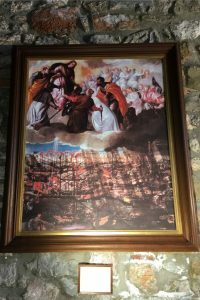 It is worth a stop to view a collection replica paintings and engravings that give insight into the great Battle of Lepanto of 1571. 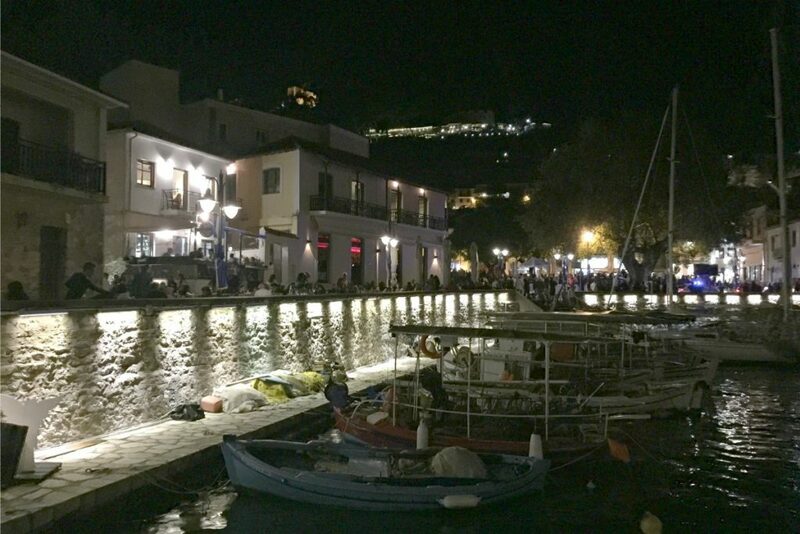 The harbor is a central meeting point for locals. 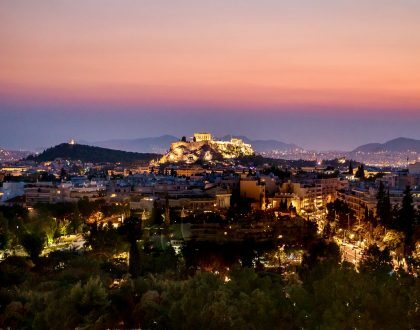 What makes it special is that its cafes and restaurants are in the shadow of the city’s historic walls. 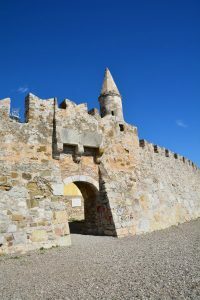 Explore in and around the fortification and you’ll also bump into the Statue of Cervantes. 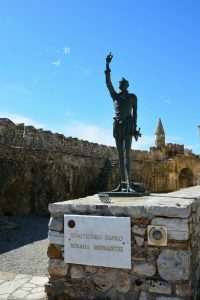 Miquel de Cervantes, one of the greatest Spanish writers and author of Don Quixote, fought in the Battle of Lepanto here and lost his left hand. 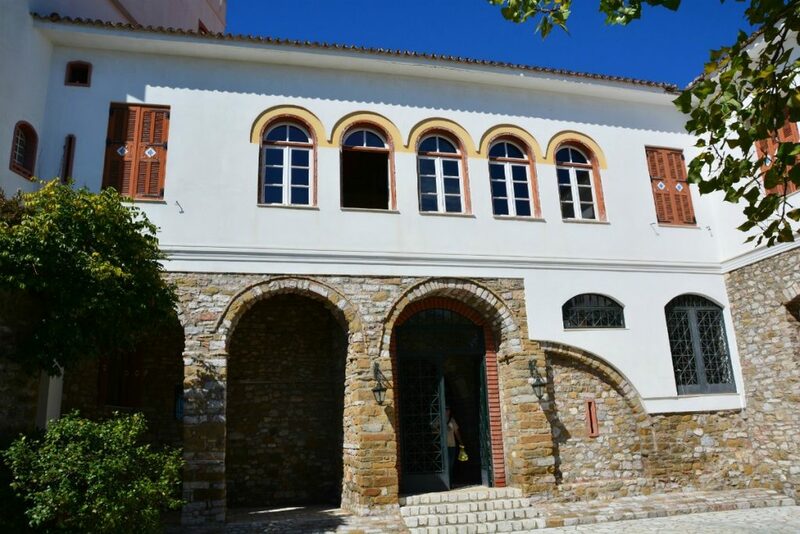 This Ottoman mosque of Nafpaktos is located on the eastern jetty of the Venetian port. 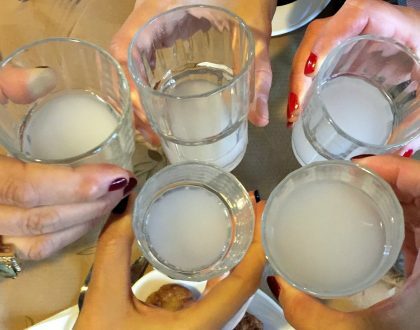 It was built right after the conquest of the city by Sultan Beyazid II Veli between 1481 and 1512. Its name means means the mosque of the conquest. 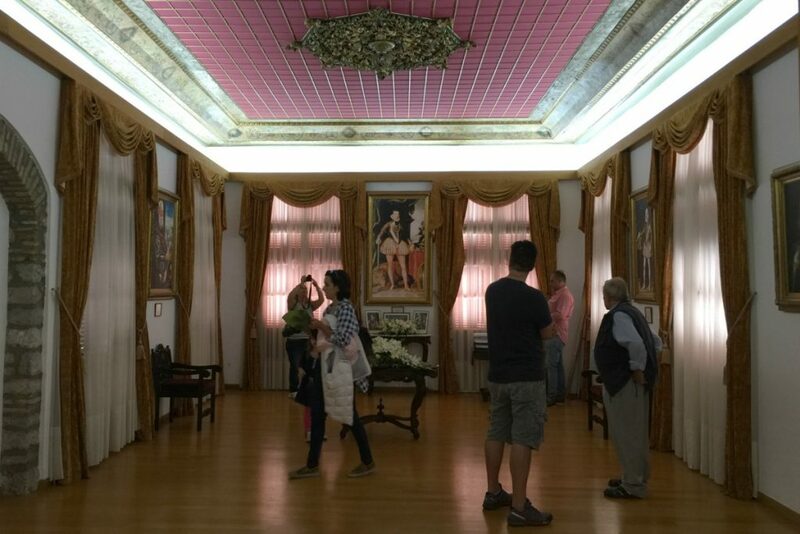 Open during exhibitions. 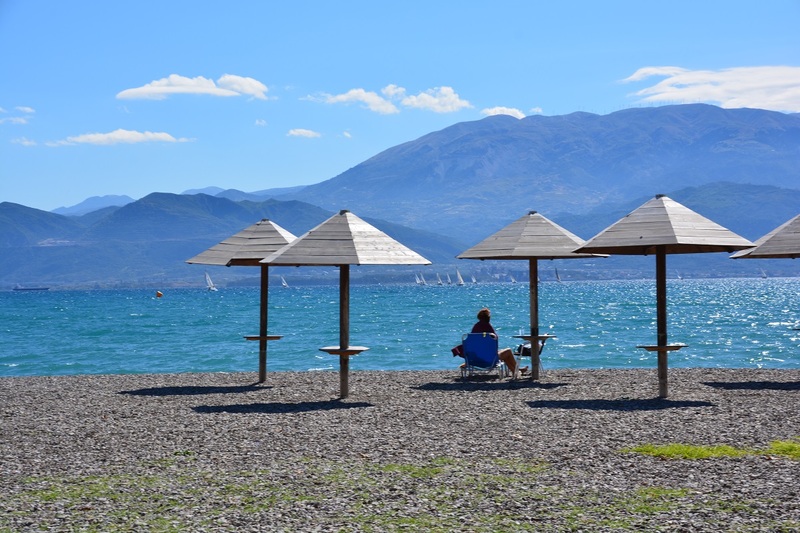 Every coastal town, big or small, in Greece has beautiful beaches and Nafpaktos is no exception. 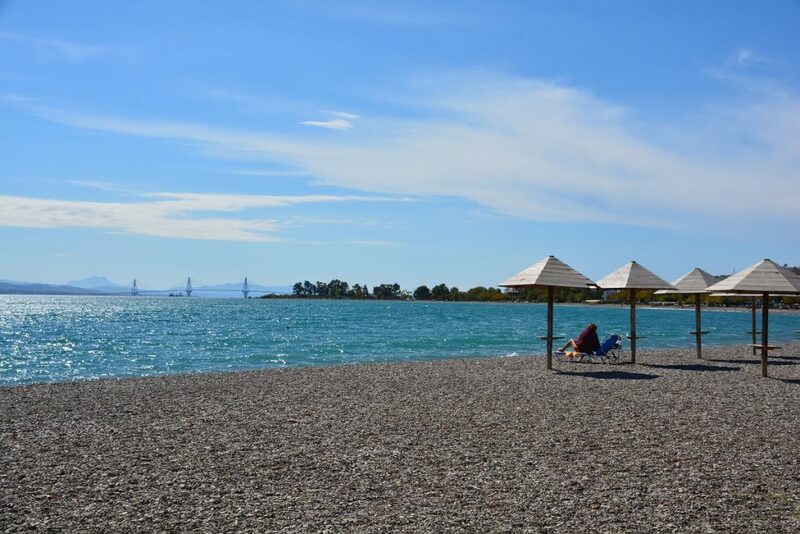 The names of the two city beaches are known as Psani and Gribovo and have been accredited with Blue Flag status. 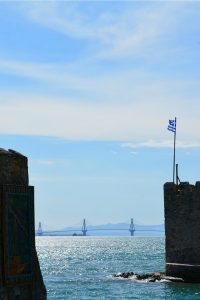 You will likely take this bridge to drive to Nafpaktos. 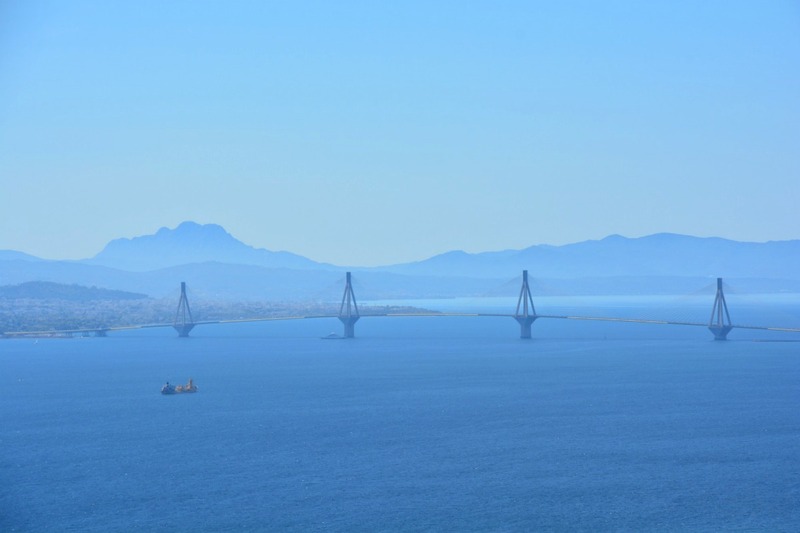 The Rio-Antirio is the largest bridge in Greece and a pretty nice sight to take in day or night from the Nafpaktos coast. It is one of the world’s longest multi-span cable-stayed bridges and the longest of the fully suspended type. It was completed in 2004 to help augment one one of the oldest ferry systems in Europe. 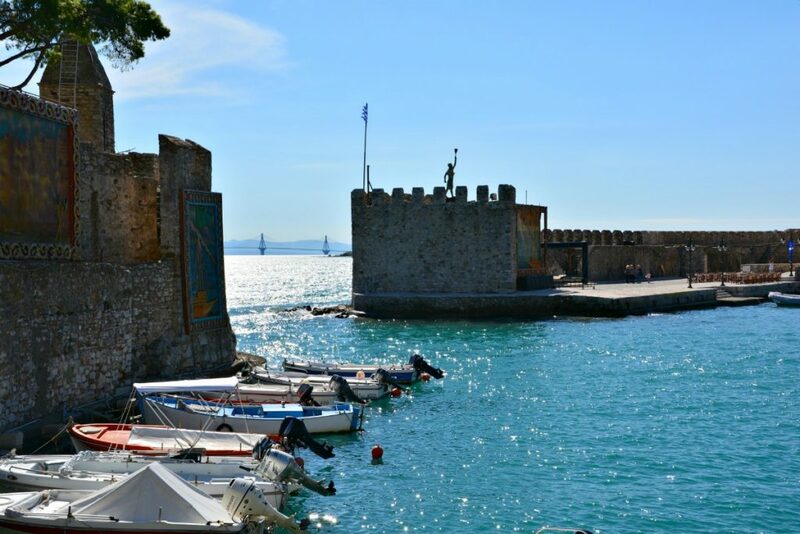 On October 7, 1571, the famous Battle of Lepanto, also known as the Naval Battle of Nafpaktos took place right in the waters of the harbor. 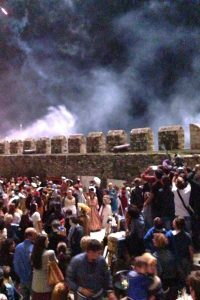 Every October, the municipality organizes an impressive battle reenactment. 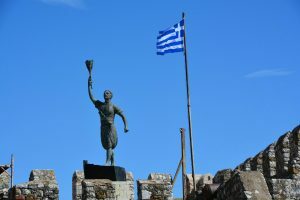 The Battle of Lepanto is dubbed as one of the most important in European history. 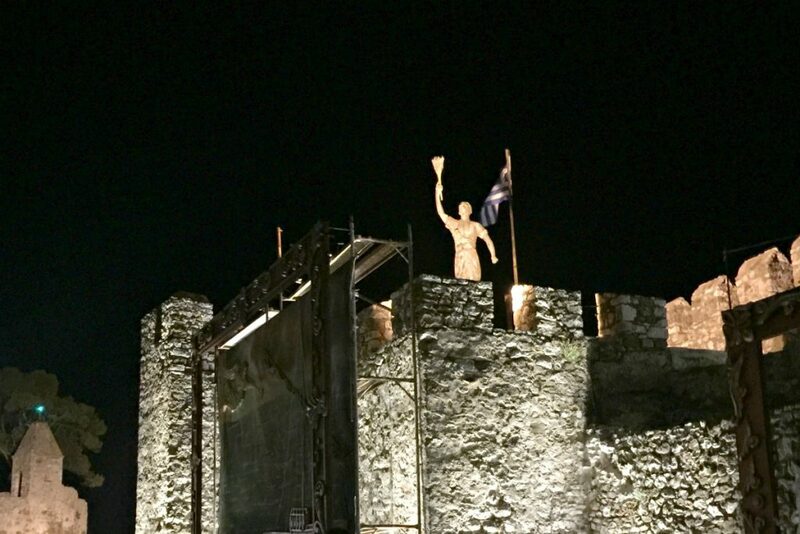 Actors take the stage on Nafpaktos Harbor. 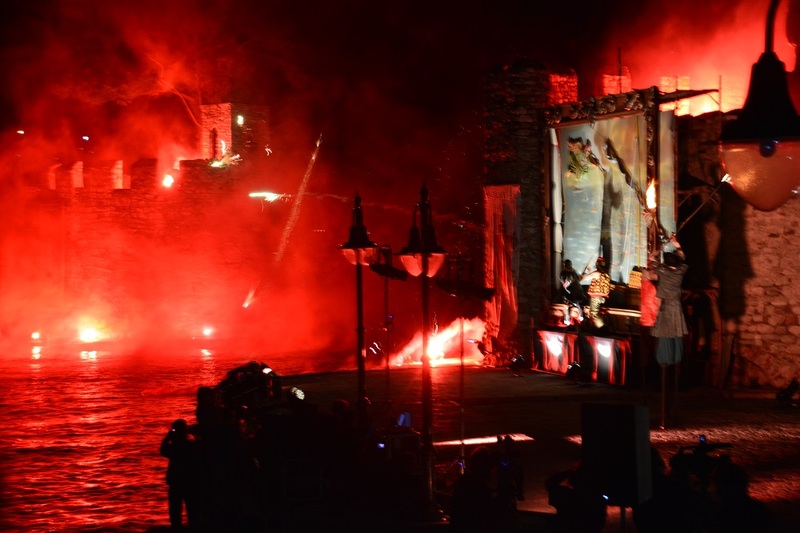 Since we happened to be in town, we had the chance to see the action — complete with music, actors and fireworks. 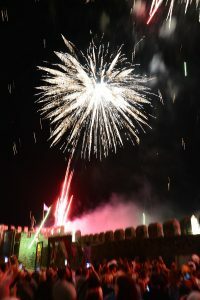 It was a colorful spectacle and very popular. The crowds were tight! 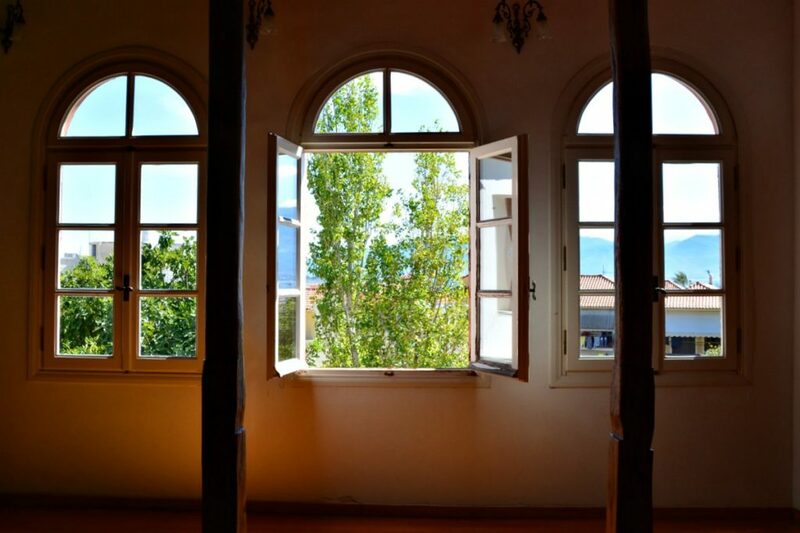 We managed to grab some photos from the top floor of a café next to the harbor. Tip: Go out earlier in the evening to reserve a good viewing spot. Why all the fuss about this battle? 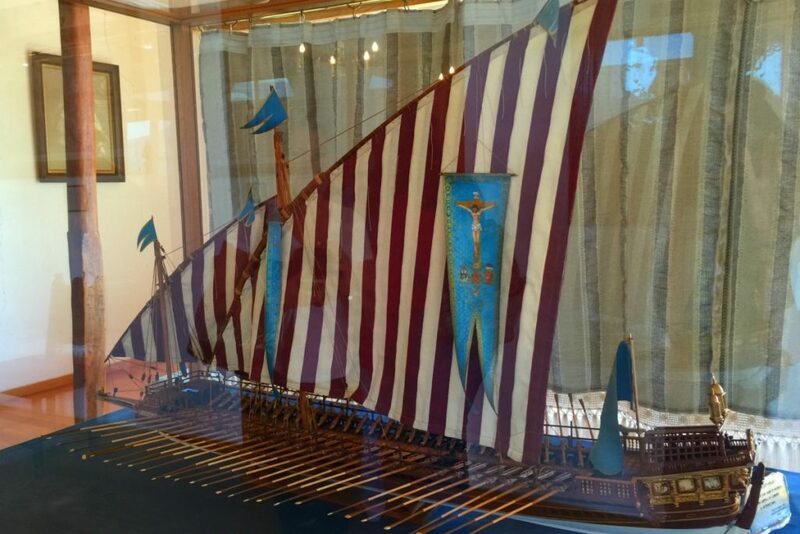 Turns out the Battle of Lepanto was the last major naval battle in the Mediterranean fought entirely between galleys. The victory of the Holy League (including Italian and Spanish fleets) prevented the Ottoman Empire from expanding further along the European side of the Mediterranean. If you love military reenactments, this is one to catch. 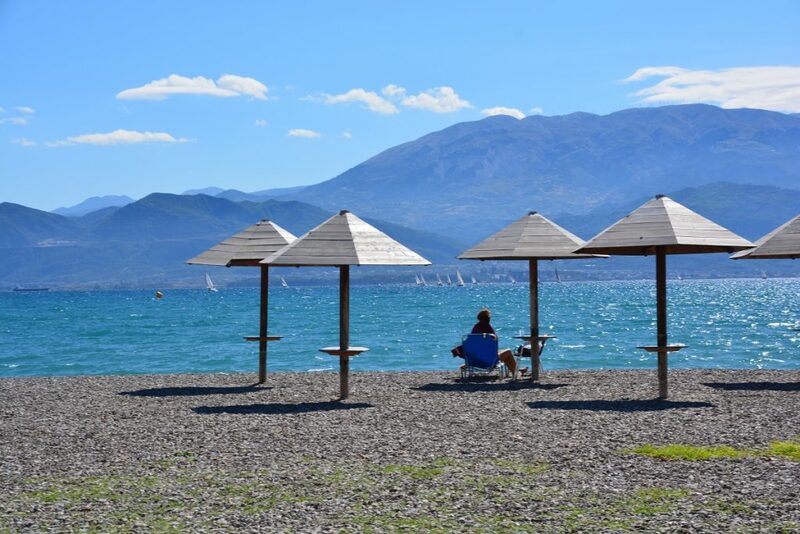 Nafpaktos offers a bit of seafront splendor. Not too far is the fairy tale woods and mountains of Oreini Nafpaktia. Think dense forests for hiking and admiring waterfalls. 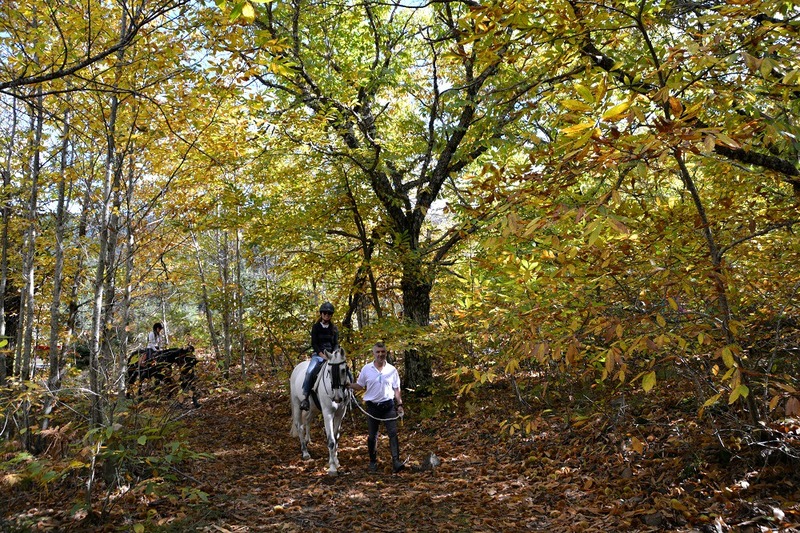 Horse riding through a chestnut forest. For all of the details, check out my earlier post: Top things to Do in Oreini Nafpaktia. 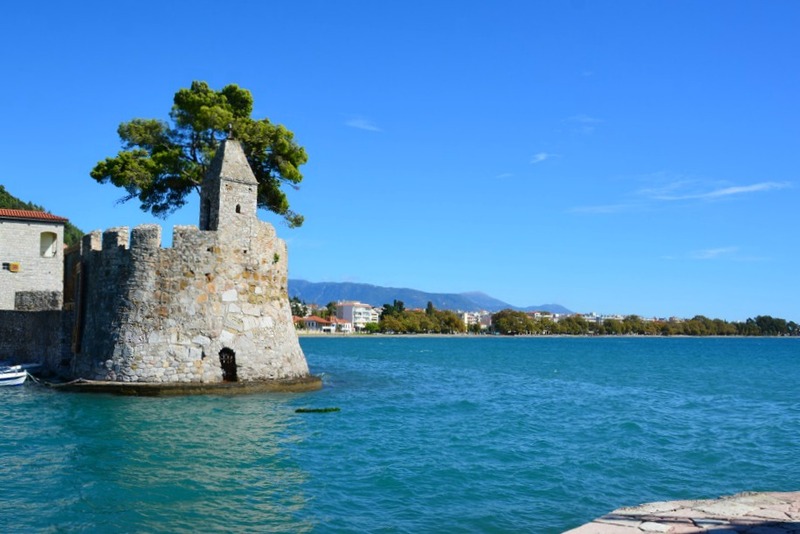 Nafpaktos is one of the all-year destinations in Greece. 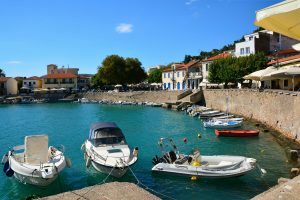 You can head here in the summer to enjoy the beaches and take evening strolls around the harbor. I went in the fall and the weather was great. 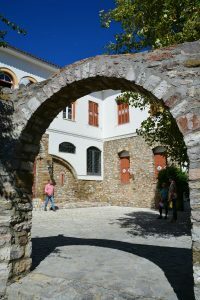 It was very pleasant to explore its fantastic historic sights with lots of autumn sunshine. 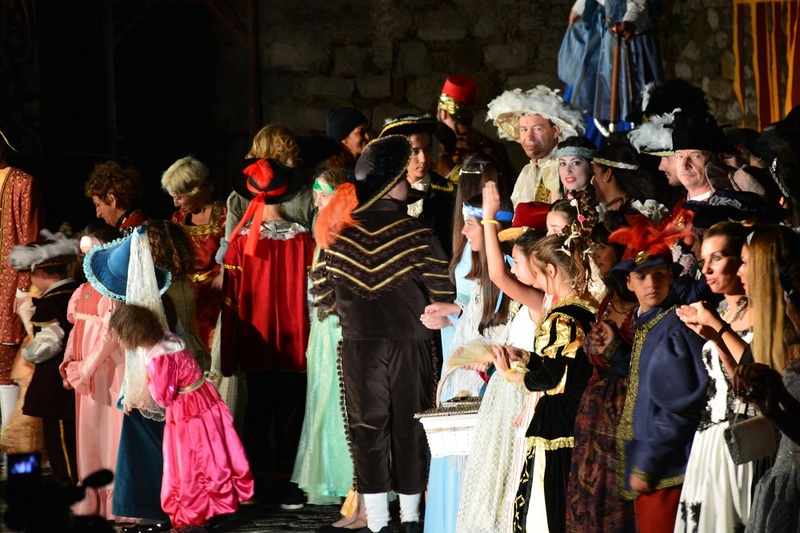 Plan your trip in October and you can catch the Battle of Lepanto reenactment as well as the Chestnut Festival in nearby Oreini Nafpaktia. 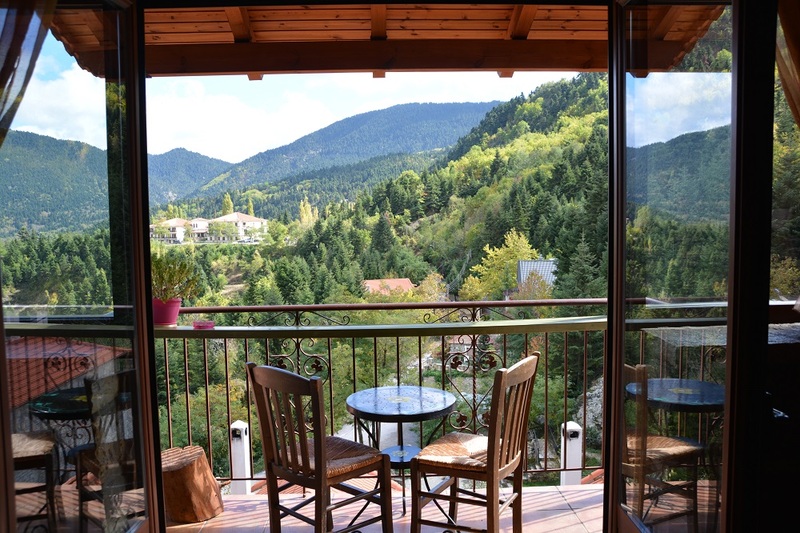 Head to the Go Nafpaktia website for more planning your holiday here. 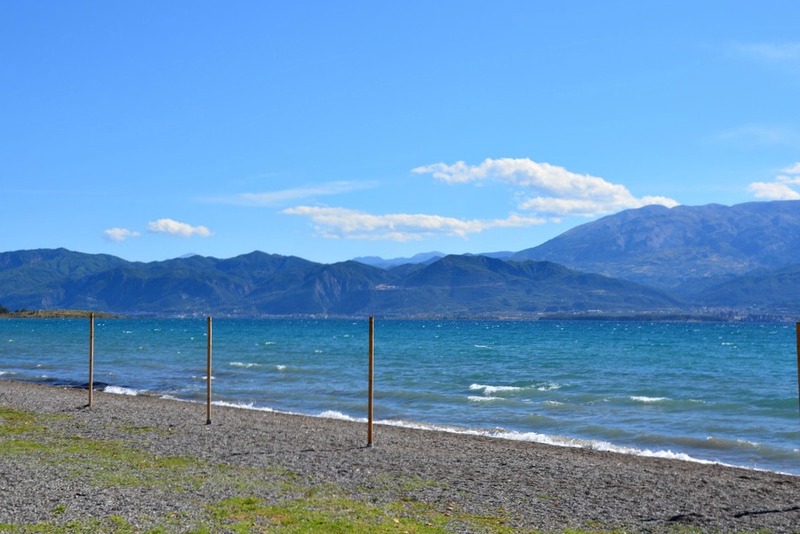 From Athens by Public Bus: There are buses scheduled between Athens to Nafpaktos. Buses depart from Kifissos KTEL Station. 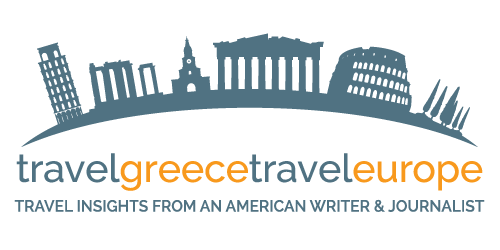 From Athens by Car: Drive the road from Athens to Patra, follow the signs to Nafpaktos. The trip takes about 3.5 hours. Along the way you’ll ride across the famous Rio-Antirrio cable bridge. 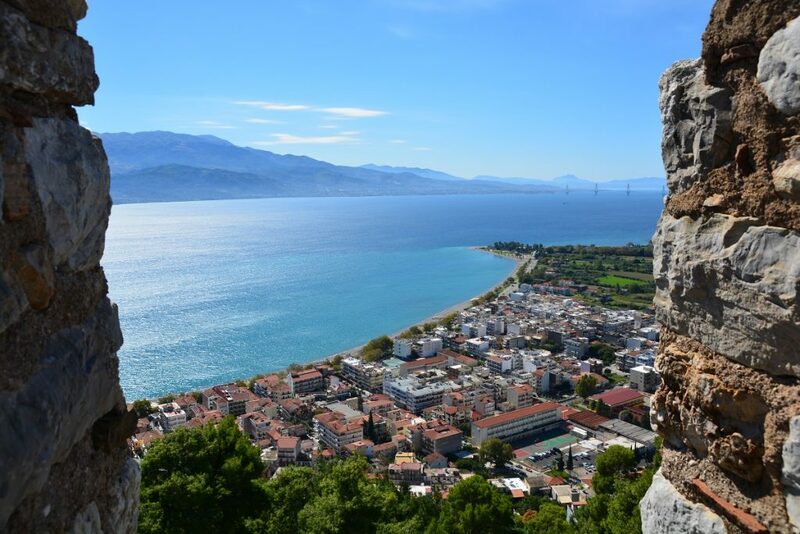 You can also arrange transport from Athens or rent-a-car while in town with Avance Travel Nafpaktos. 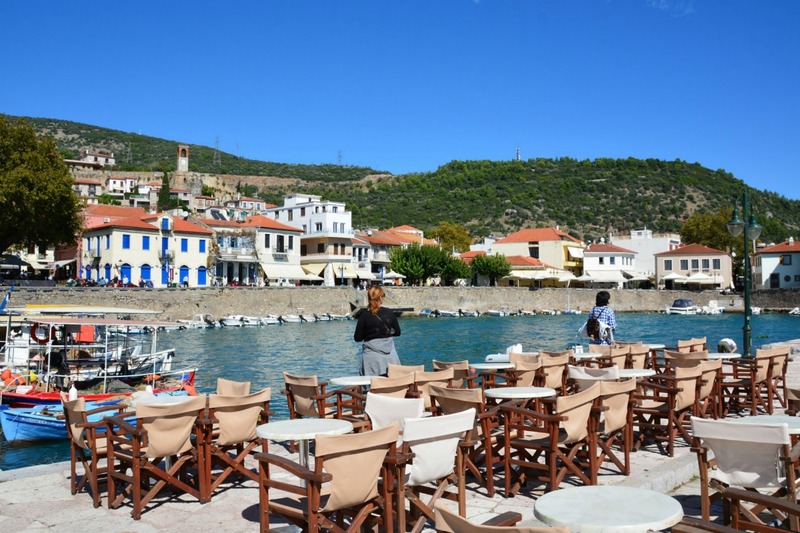 Hotel Nafpaktos – I stayed at this three-star option. I enjoyed the hospitality and appreciated the service. 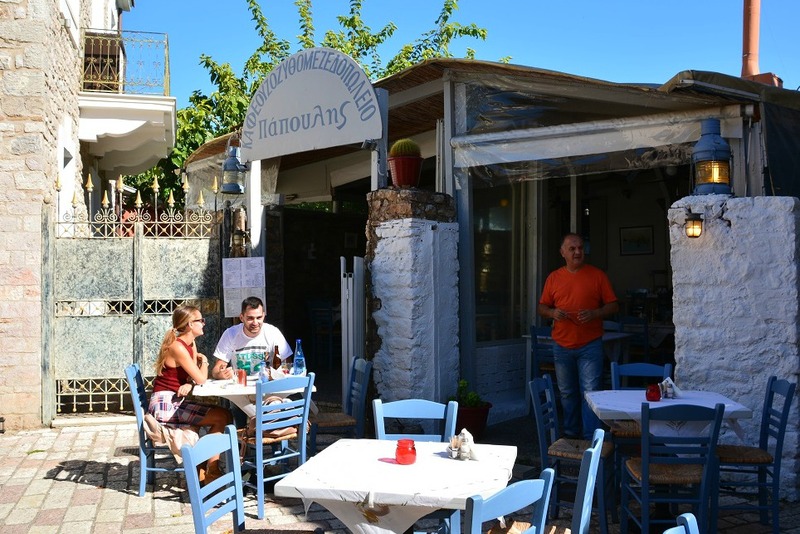 There was a nice breakfast spread and hearty Greek dinners at the restaurant. Our room was spacious, super clean and comfortable. Great value for money. 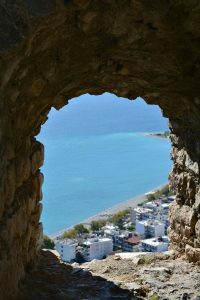 Another three-star option is right across the street called Hotel Akti Nafpaktos. 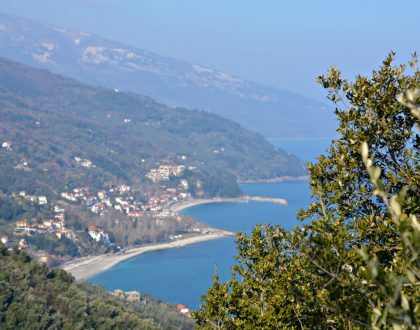 Both hotels are just a short walk away from Nafpaktos Town. 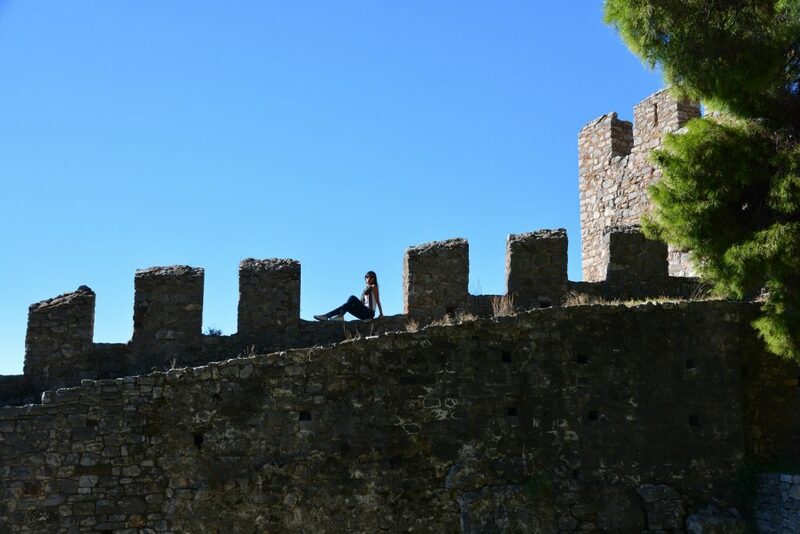 Have you ever visited Nafpaktos or a small European town with a lovely castle? 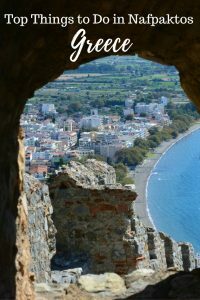 Thank you for your lovely post about our beautiful town! I wish I had the chance to meet you in person as long as you were here. Maybe next time! Thank you so much! Yes, I would love to return for sure. Thank you for your comment. Nice article and really nice pictures! And next time you visit, drop by my area too. My son had gone to school there so I am familiar with the beauty and picturesqueness of Naupaktos. 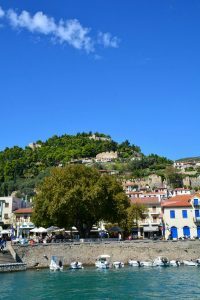 It is the perfect town with a little of both, sea and mountains. Your post is very informative, I didn’t know there was a mosque in the area. Hi Mary, Oh, nice! So you know the area well. Thanks so much. Beautiful place! I’ve never heard of this place but it looks magical. The castle looks so fun to explore and the water is so blue!! How is it in the winter? Hi Ala, While it may be too cold to go swimming, I think it would be nice to explore come winter. Also, Oreini Nafpaktia is nice which is just an hour away — a mountainous village area which is a cozy destination for winter season weather. Just wow! What a stunning place to visit. The reenactment festival looks very exciting. Hi Jun, Thanks! Yes, it was stunning. The battle was a very fun community event to take part in. It was actually quite elaborate!